Hello, my names is James Terrell. I came to Curttright Honda right out of Vo-Tech. 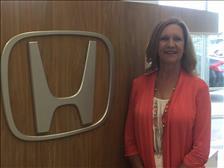 I started in 2001 and have been with Curttright Honda for over 16 years and enjoy my job immensely. The love of working on cars inspired me to be a mechanic. My father is a mechanic and working on cars with him gave me the love for the job and trade that I chose for a career. I love that my job allows me to figure out issues with vehicles and that I have the training to make the effective repairs to get our customers back road worthy. The automobiles are rapidly changing in all areas and I enjoy keeping up with the latest innovations and staying at the top of my field. I look forward to working on your vehicles and promise to take excellent care of them for years to come. From the moment you step on our lot until the time you drive away in your next car, your buying experience with Curttright Honda is our number one priority. We encourage you to use the expertise and resources of our sales staff; they are here to help you find the right car at the right price. After you purchase our job is not done as a sales person. We will make sure that you are knowledgable about the new technology on the vehicle before you leave. We then welcome you back for a follow up class if needed. Our service department is one the best in the nation and will make sure to keep your new or pre-owned vehicle on the road. Call us today at 580-233-8670 to schedule your test drive! My name is Chuck O'Brien I have lived in NW Oklahoma since 1979 and I have 25 years of industry experience. 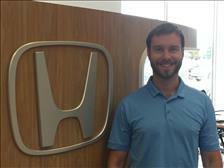 I joined Curttright Honda in 2011 and really enjoy the family like atmosphere. I am here to make your paperwork process as seamless and easy as possible. 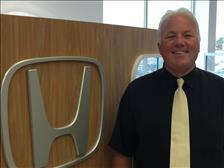 I invite you to come see me at Curttright Honda. Hello my name is Karson Curttright. I have been around the car business almost my entire life.  I am an Enid native who graduated from Enid High and then I graduated from Oklahoma State University with a degree in Entrepreneurial Management with a minor in marketing. I am happily married to my wife Sarah and have 3 beautiful girls. I enjoy coaching my girls in t-ball and experiencing God's beauty in the outdoors with my friends and family. Hello, my name is Jeff Enabnit. 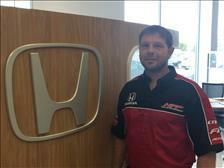 I have worked for Curttright Honda since April of 2012. I am a sales associate here and have been in sales most of my adult life. I also minister at the Christian Church in Wakita, OK (where much of the movie "Twister" was filmed). I've been married to my wife, Nancy, since 1982 and we have 3 grown children, Emily, Nathan (and wife Lauren), and Nick. We also have 2 adorable grand-daughters, Paige and Ruby. Come see me for all your vehicle needs!